THE EASTERN WIND SYMPHONY is proud to celebrate over 20 years of making music in New Jersey! 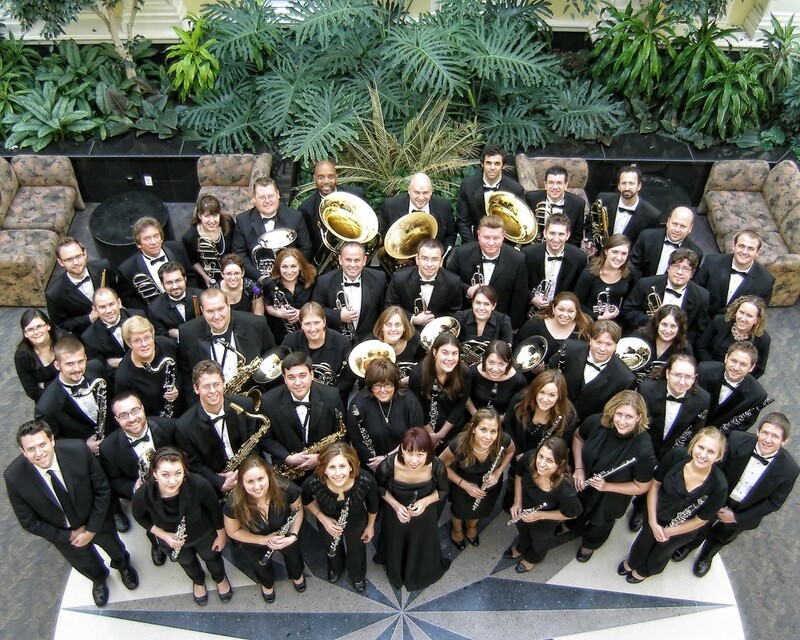 The Eastern Wind Symphony, founded in the spring of 1996, is a professional level ensemble for musicians dedicated to performing the best wind and percussion literature. Under Director Emeritus Dr. William H. Silvester, the ensemble experienced exceptional growth and developed a national reputation. The Eastern Wind Symphony has presented critically acclaimed performances at Carnegie Hall, John F. Kennedy Center, New Jersey Performing Arts Center, and Patriots Theater at the War Memorial. Recently, the EWS had the honor of being the first adult band in the state of New Jersey to be selected to perform at the prestigious 2015 Midwest International Band & Orchestra Clinic in Chicago. In addition, the EWS was invited to perform at the 2017 International Trumpet Guild Conference and multiple NaFME Eastern Division Conferences. Artistic Director Mr. Todd Nichols and Assistant Conductor Mr. Adam Warshafsky currently guide The Eastern Wind Symphony to achieve its artistic goals, revitalize the community it supports, and bring unique and challenging musical experiences to both its members and audiences. In addition to establishing highly successful concert seasons at Richardson Auditorium in Princeton, NJ, the EWS has instituted a summer concert series in other local NJ communities. The EWS has been invited to provide guest performances at local music festivals, including the Music for All Metropolitan Wind Band Invitational. The past several years have brought new opportunities and success for the EWS. Through a guest artist program instituted in 2009, internationally acclaimed New York Philharmonic musicians Stanley Drucker, Phil Smith, Joe Alessi, and Alan Baer, as well as marimba soloist Greg Giannascoli, and internationally acclaimed trumpet soloist Allen Vizzutti, have performed with the ensemble. Through an annual Visiting Distinguished Conductor Program established in 2014, the EWS has had the opportunity to play under the batons of renowned conductors such as Ray Cramer and James Keene. The EWS is proud to be active in commissioning oieces for wind band from today’s leading composers, having commissioned five new works from composers Julie Giroux, Joseph Spaniola, Bruce Yurko, Kevin Bobo, and William Ryden. In order to fulfill the mission of giving back to the community and supporting young musicians, the Eastern Wind Symphony Youth Band was established in 2012 and is conducted by Mr. Warshafsky. The EWS has produced numerous commercial CDs of exceptional quality on the prestigious Klavier, Curnow Music Press, and MASTERS labels. The most recent recording, Resurgence, was released in 2014 and a new recording is due out in in 2018 featuring Julie Giroux’s latest symphony, Symphony No. 5 Elements. The Eastern Wind Symphony membership consists of professional level musicians from the New Jersey, New York, and Pennsylvania areas. More than half of the members are music educators who teach in the NJ public school system. In addition, numerous members are freelance musicians, manage businesses, work in the sciences, or raise families. Whatever their vocation, all members of The Eastern Wind Symphony are accomplished and talented musicians who volunteer their time and enjoy performing the most highly regarded wind symphony repertoire in a high-caliber ensemble. Their reward is musical enjoyment at its highest level: music for music’s sake! The Eastern Wind Symphony is a non-profit 501(c)3 organization. All members perform for the love of music, and no member is compensated for his or her participation. For more information about the symphony, including audition information for open positions or to support the EWS through charitable tax deductible donations, please see the web site at www.easternwindsymphony.org.